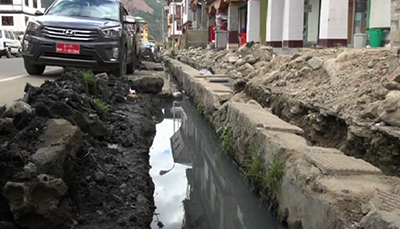 For over five months now, streets in Paro town have been dug to install a new water distribution pipes and construct drains. But for many local residents, the ongoing works are never-ending and cause inconveniences for them. The business community there said they face a lot of problem while unloading consignments. “We don’t have way so it is difficult to unload commodities from trucks. And there is no proper path for pedestrians. I am worried they will again dig such drains for maintenance in future,” said a shopkeeper, Phub Lham. 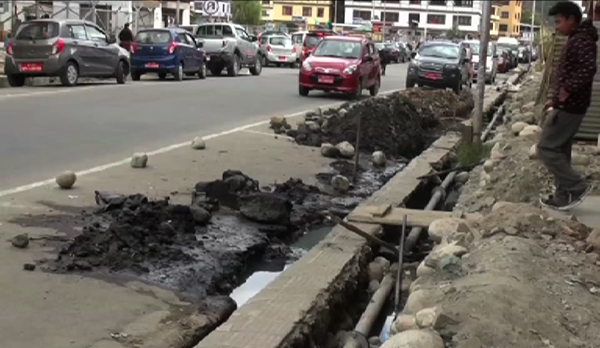 Like her, other business operators in Paro Thromde said the dug drains are causing inconveniences to tourists and children. “Now it is winter and it is dusty all over. People can’t even walk along that drains. Quite recently, a tourist fell in the drain. Kids might fall too,” said Lhab Tshering. Residents also said parking has become an issue. An engineer with the municipal authority, Kencho Dorji, said since the contract package to construct water distribution network in the town is for 10 months, all the works is expected to be complete latest by March next year. He said once the fittings to join the pipes arrive, the trench will be covered. However footpaths, drainage and roads will take time.